My research into the ideal diet for humans, which I named “The Guerrilla Diet”, from the word guerrilla as in “guerrilla warfare”, because I felt that we needed to combat conforming to societal norms regarding the foods that we are culturally taught to accept as nourishing, comes to the conclusion that the ideal diet for humans is a mostly whole food plant-based diet with no more than 7% of the diet coming from animal products, mainly fish and lean meat products, but no dairy products. If you would like to understand more on the reasons why this is so, please read my bestselling, award-winning book “The Guerrilla Diet & Lifestyle Program”, or join the Guerrilla Diet Bootcamp for all the fascinating details. So, what does this mean in practical terms to consume no more then 7% animal products in your diet? And does this mean that a vegan diet is not recommended when following the Guerrilla Diet? Veganism is a choice that mostly comes from a humanitarian standpoint, rejecting the commodity status of animals. I have personally decided to become a vegan for these reasons. I have chosen not to take part in the current day cruelty to animals that is part of a normal omnivorous diet, and have chosen to foolow the vegan path. Following my research, I understand that to sustain my health on a vegan diet I need to supplement my diet, and since modern day technology allows me to do this, I am both happy and healthy. All vegans need to supplement their diet to sustain health. See my article here regarding which supplements are commonly deficient on a vegan diet. For the rest of the population who does choose to consume meat, how much is really good for health and how can you incorporate this way of eating into your day to day lifestyle. If you visit my website, you will see a page under the “Free Stuff” tab that is titled “What to eat on the Guerrilla Diet”. 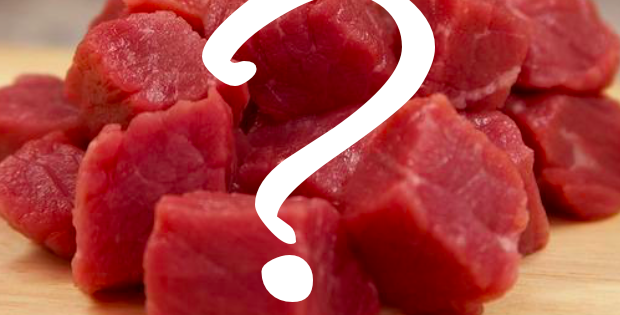 If you noticed, it states that meat, in particular, “natural, unprocessed lean meats, preferably organic”, may comprise no more than 7% of your diet. More than this has been proven both in my meta-analyses research and in many research studies before that too much animal protein leads to diabetes, heart disease, cancer, and obesity. So, how do you know when you are consuming 7%, and not more of your diet, from animal sources? 2. Now take the number of daily calories that you received from the calculator (the lower number under the “Maintain weight” category for calorie intake per day) and multiply it by 7. This will provide you with your weekly caloric needs. 3. Now calculate 7% of this weekly amount (multiply the number by 7 and then divide by 100). This is the amount of calories from animal products that you can consume on a weekly basis. This should be the maximum amount of animal products consumed. 4. Calories from lean meat and eggs are about 200 calories/100grams, so divide the number you received in number (3) above by 200. The number you get is the number of 100-gram portions of meat you may consume in a week. Let’s take for example a man with daily caloric needs of 2000 kcal. Multiplied by 7 = 14,000 kcal/week. Divide this number by 200kcal for really lean meat = 490 grams of meat/week. Divide this number by 280kcal for really non-lean meat = 350 grams of meat / week. I hope this has helped you calculate the amount of meat you should consume per week. Of course, you do not need to consume this full amount and can substitute any part of it with plant-based proteins that are healthy and very nutritious and include beans, lentils, green vegetables, nuts, and seeds. If you choose to consume meat, fish or eggs in your diet, aim for natural, unprocessed, preferably organic sources and for very lean cuts. Remember that only recently, in the past 3000 years, has the fat content of animals risen so high. This is due to the animals’ now sedentary nature and the purposeful choice of farmers to raise fatty animals since customers prefer this taste. *However, if you are suffering from an illness or are over the age of 60, your animal product intake should decline depending on your condition.